Does this sound familiar? In the early 1930s the New York Times ran an obituary for a famous detective fiction writer, born in the middle of the nineteenth-century. The author combined full-length detective fiction with collections of short stories and wrote to great acclaim from the late nineteenth-century through to the 1920s. In the obituary, the NY Times noted that the author wrote genre-altering detective fiction in the hope that it would draw attention to their more serious, literary work. Green isn’t the only woman to disrupt the popular notion of the ‘founding fathers’ of detective fiction: Poe, Gaboriau, Doyle. Among them, Metta Victoria Fuller Victor, who wrote her most well-known works under the pseudonym Seeley Regester, stands out for mention right now. She is recognised as having written one of the first American examples of the genre, The Dead Letter, in 1866. Although this fact is not contested nowadays – I first found mention of it on Wikipedia, for goodness’s sake – what is interesting is how Victor and Green’s contributions, among many others, are glossed over in popular histories. For example, take Daniel Stashower’s excellent The Beautiful Cigar Girl: Mary Rogers, Edgar Allan Poe and the Invention of Muder, which interweaves the histories of the horrific murder of New Yorker Mary Rogers with Poe’s attempts to write the events into a new kind of fiction and to engage with the real-life detection efforts at the same time. Stashower, who is an expert on Doyle first, discusses the likely influence of Poe’s early work on the later Sherlock Holmes stories. Now, I am not arguing that there was no link; indeed, Doyle referenced Poe’s creation in A Study in Scarlet. What is interested is that by drawing a line directly from Poe to Doyle, Stashower reinforces the popular perception that these were the only detective fiction writers in town. In order to address this misconception I plan to (at some point!) discuss various writers that predated Arthur Conan Doyle or who could be considered to have influenced his work. 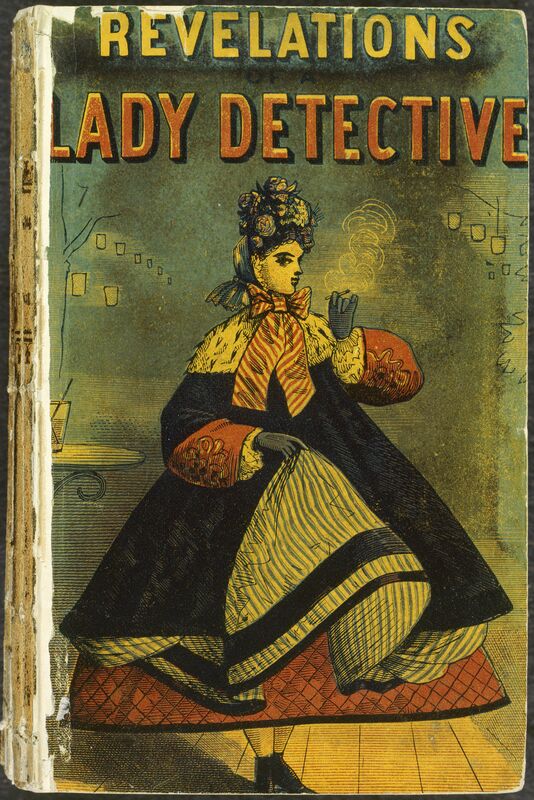 I hope to demonstrate that the world of nineteenth century detective fiction was far richer and far more socially and gender diverse than is commonly supposed nowadays. 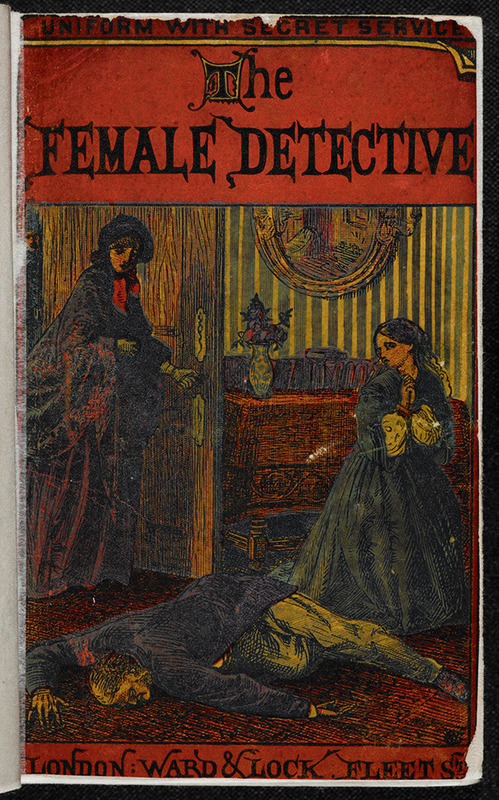 This project was inspired in part by the news that the British Library recently reprinted three excellent works of mid-nineteenth century British detective fiction, two of which feature women detectives as main characters and one which is thought to be the first example of the detective novel: William Stephens Hayward’s Revelations of a Lady Detective (1861), Andrew Forrester’s The Female Detective (1864) and Charles Warren Adams’s The Notting Hill Mystery (1863). I’ll end as I started – with a puzzle. In 1994 at a symposium at the University at Albany (SUNY), Ellen Higgens presented a paper on ‘The Female Rivals of Sherlock Holmes’. In it she talked about Anna Katherine Green, Seeley Register and other women authors. About the reception of her work in some (Sherlockian) circles, Higgins is reported to have said, “People… don’t want to hear about women competing with the Master”. What’s peculiar about this is that women authors rarely, if ever, wrote female characters. As we have seen, the few female characters in nineteenth century were created by men. (Green did go on to create a female detective but only well after the success of her male police detective Ebernezer Gryce.) So who is the ‘Master’ that Higgins is talking about: Doyle or Holmes? Higgins is not alone in conflating the author Doyle with his vastly more popular character Holmes. I am intrigued to see whether the same can be said for the other authors here and what that might reveal about their relative popularity today. This entry was posted on February 20, 2014 by Dave McLaughlin and tagged Anna Katherine Green, Arthur Conan Doyle, detective fiction, Edgar Allan Poe, History, Victorians, Women detectives, women writers.